SAF-T-EZE® Food/Drug Grade Anti-Seize has been formulated to meet rigorous USDA requirements. This product is odorless, tasteless, non-staining and corrosion resistant. SAF-T-EZE® Food/Drug Grade Anti-Seize is listed for incidental food contact by the United States Department of Agriculture for use in establishments operating under the Federal Meat and Poultry Products Inspection Program. This Anti-Seize grade is also NSF registered. Service temperature for long term application is from -65ºF to 450ºF, but intermittent spikes to 500ºF are possible. 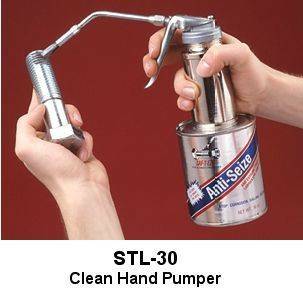 This superior product prevents galling on threaded joints and metal wear surfaces. It performs particularly well on stainless steel. 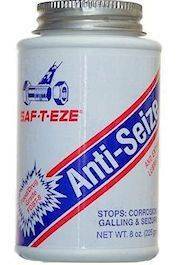 SAF-T-EZE Anti-Seize stops corrosion, galling, and seizure between metal parts. Food/Drug Grade Anti-Seize can be used as a lubricant, a sealer on plastics as well as metals. Use on threaded parts, bushing, gears, valve stems, chains, sprockets, levers, hinges, pivots, rollers, or as gasket release agent, etc.